Oh, and Final Fantasy VII Remake is still coming along, don't worry. The director of the Kingdom Hearts series, Tetsuya Nomura, was interviewed by Famitsu at E3 2016 about Kingdom Hearts HD 2.8 Final Chapter Prologue, focusing on specific details in the PlayStation 4 collection’s three offerings. During this interview, Nomura also discussed some things relating to Kingdom Hearts III and other projects, such as the Final Fantasy VII Remake. Nomura states that the game is still a while away, but not to worry and that production is going at a steady pace. He also states that concrete information on the game will be released at a later time and that when it is next shown, he will appear publicly to reveal it. Nomura said that when it comes to The World Ends With You, its following is very big overseas. He goes on to state that many people, especially overseas request that a sequel be made. Nomura adds that this is no easy task, but the possibility of a new entry isn’t completely ruled out. He wants to ensure that he will have the staff and team needed to deliver an product equal to the original game. 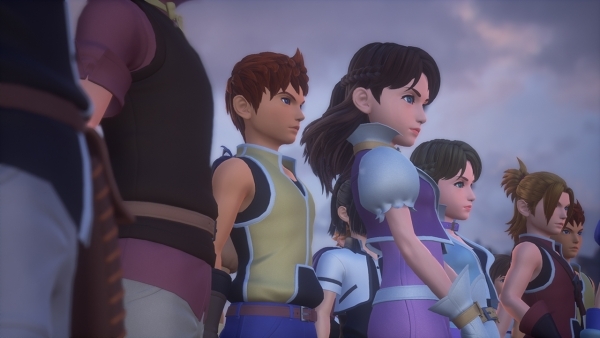 If you missed it, catch new footage and screenshots of Kingdom Hearts HD 2.8: Final Chapter Prologue here.